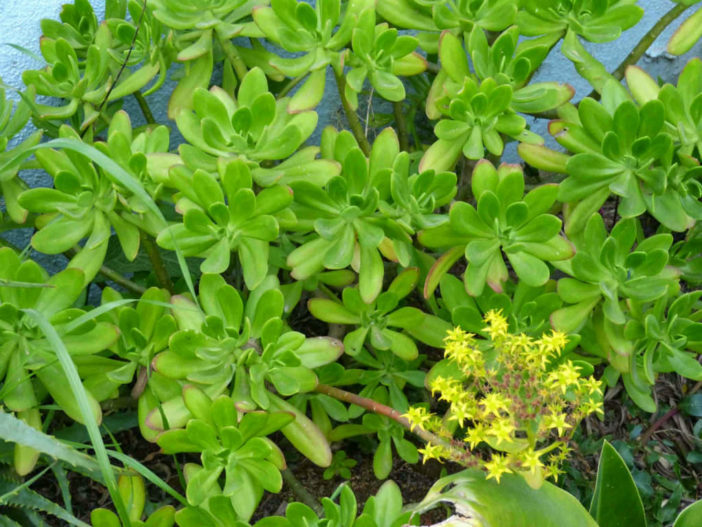 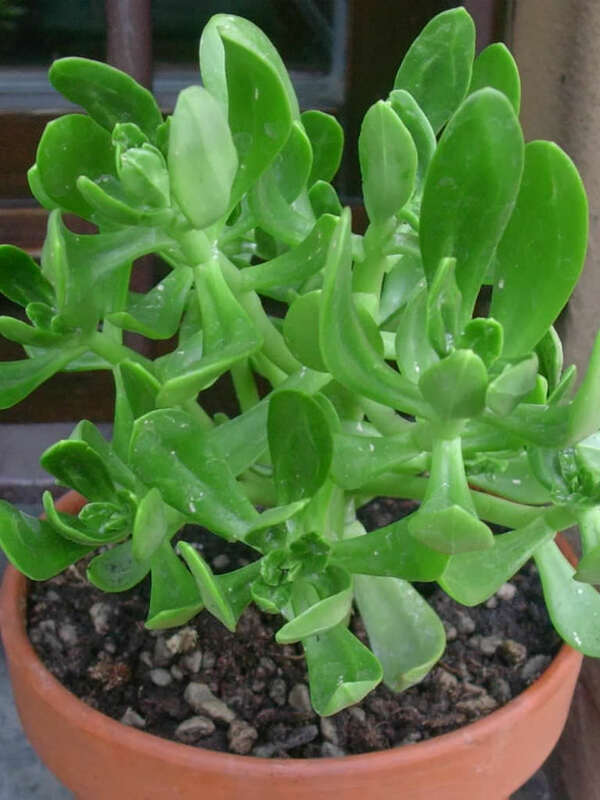 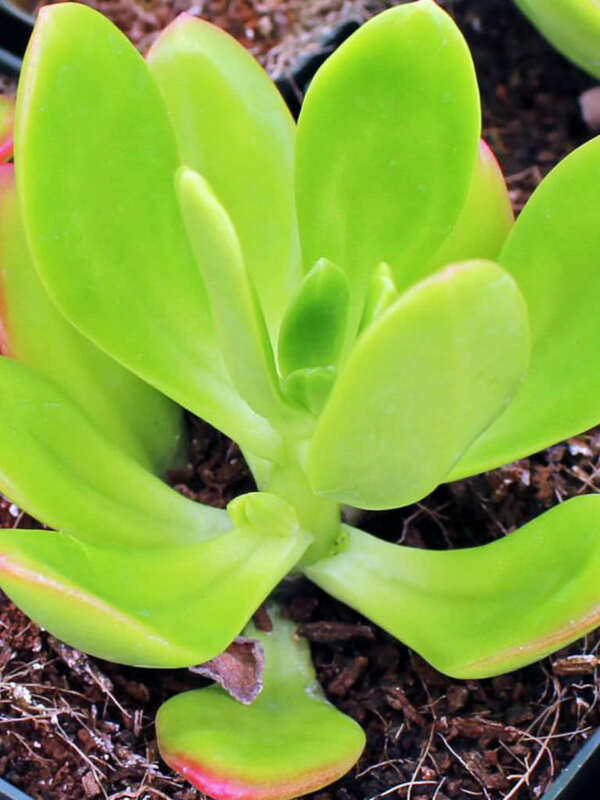 Sedum praealtum is a tall, tree-like succulent plant. 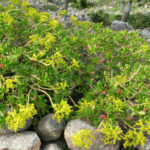 It form a shrub up to 3 feet (90 cm) in height. 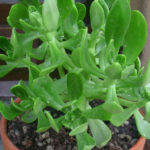 Spatulate leaves are shiny lime green, often with red margins in bright light. 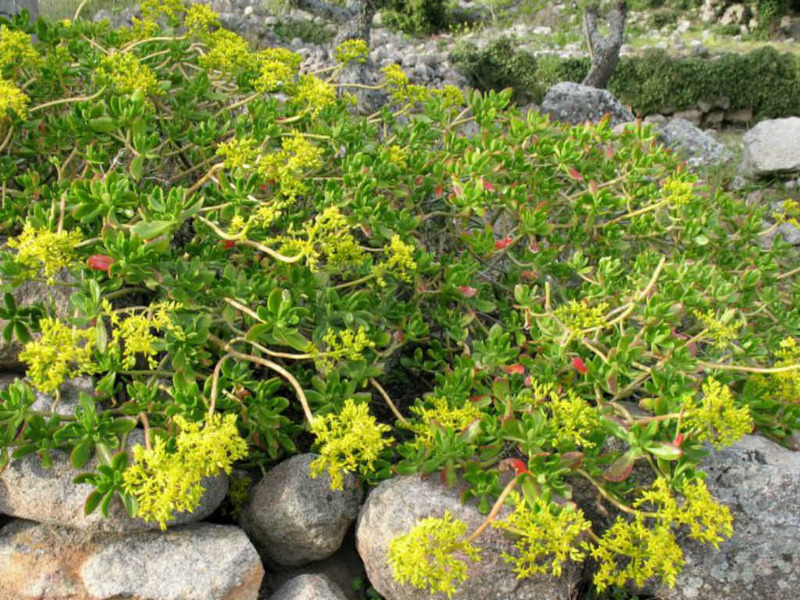 The flowers are star-shaped and yellow in color.